Looking for a personalised door gift for a party or an event? 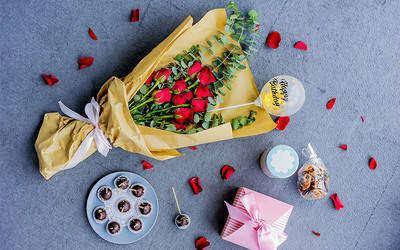 Get this door gift package that offers a chocolate pops paired with a personalised mini bubble balloon and accompanied with a bouquet of 6 roses. Surcharge of RM23 - 35 applicable for delivery to areas not mentioned above.